Rev. Frank Davis’ personal motto of “only what you do for Christ will last” is a constant motivator that stands at the forefront of his life. Currently the pastor of The United Methodist Church at New Brunswick, Davis has been appointed to serve as the Capital District Superintendent following the June 2017 retirement of Rev. Varlyna Wright. With educational and ministerial experience in the U.K., Jamaica, Trinidad, Georgia, North Carolina and New Jersey, Davis graduated with a Bachelor of Science from The University of The West Indies and went on to earn a Master of Divinity with honors from Drew Theological Seminary. Hendrickson praised Davis’ gifts, vision and passion as a “gift to the Capital District and Central Region” in the collective work of making disciples of Christ. Although Rev. Davis’ secular experience is in finance, he has worked in various backgrounds and conditions and has done extensive work with ‘at-risk’ youth. He counsels many across the country and has served churches in a variety of communities in North Carolina, New York and New Jersey. He has led congregational growth and vitality in each appointment he’s served and is known for being highly relational and deeply committed to ministry. With a love for traveling to exotic places and sampling a variety of cultural cuisines, Davis’ passion for chocolate borders on obsessive. Depending on who is playing and on what day, his favorite football teams are the New York Giants and the Pittsburgh Steelers. 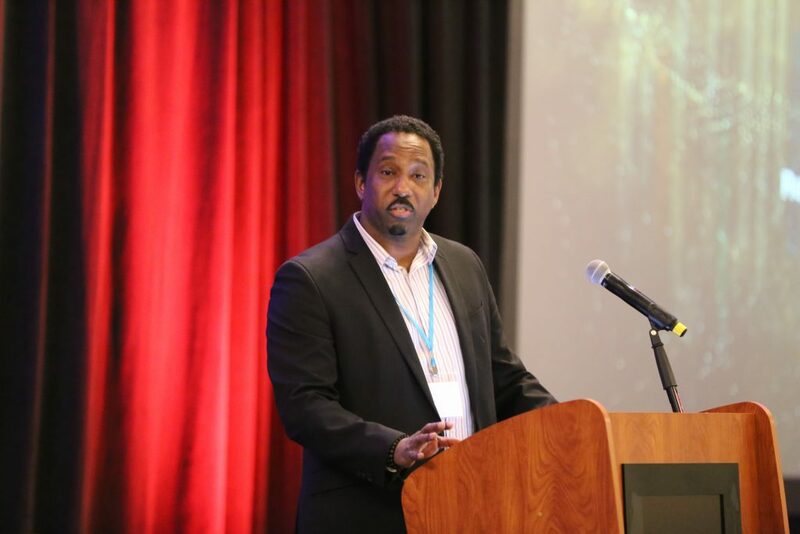 Davis’ focus and desire is to work with congregations and clergy to develop spiritual leaders and grow vital congregations for the transformation of the world.